Photographers from Italy, the UK and Canada won professional and public votes. From deep under the North Sea to the outskirts of Rome and the Canadian shores of the Pacific, the winning images from the 2018 Global Physics Photowalk competition capture the beauty, precision and international nature of humankind’s search to understand the universe. The winners were determined by a panel of expert photographers and scientists and by a separate public vote. The results were announced on Sunday at the international ASTC annual conference in Hartford, Connecticut. Simon Wright submitted the winning image of the judges’ competition. 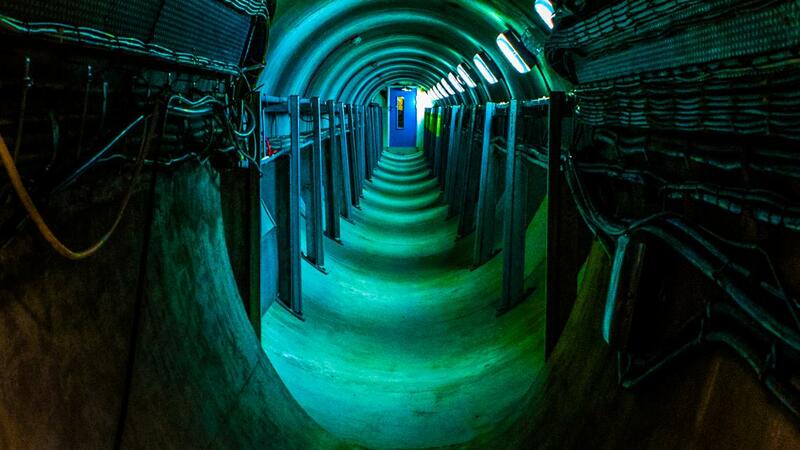 His entry comes from deep beneath the North Yorkshire moors in the UK, where physicists at the STFC Boulby Underground Laboratory play a lead role in the search to detect and understand the mysteries of dark matter. 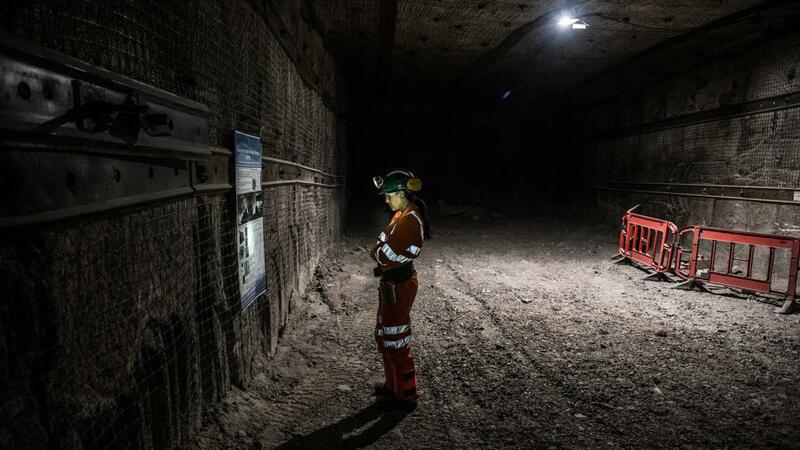 Wright cleverly used a miner’s lamp to highlight the face of STFC’s Tamara Leitan, avoiding the need for a flash that would have strobed off the safety equipment all workers and visitors to the mine must wear. A different image by Wright won third place in the public vote. 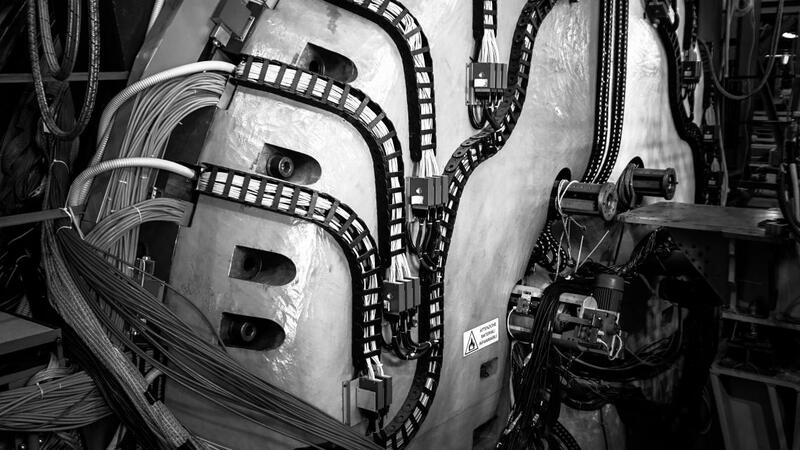 First place in the public vote went to Luca Riccioni for his photo of KLOE2, a detector devoted to the study of the origin of the asymmetry between matter and antimatter in our universe, at Laboratori Nazionali di Frascati, Italy. 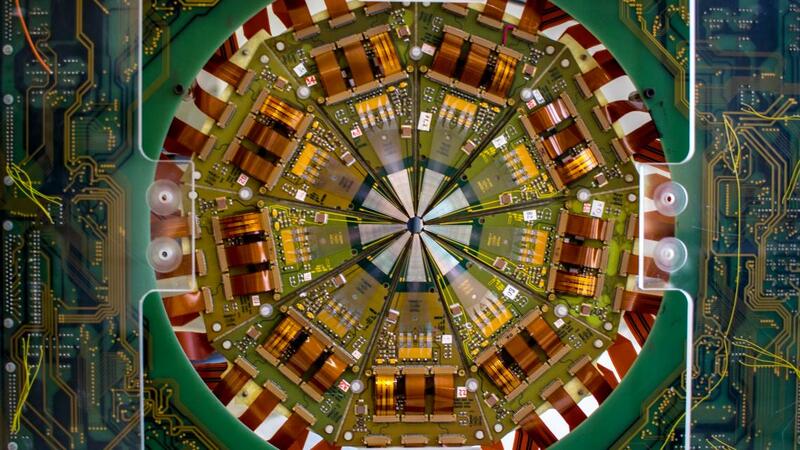 The judges’ second place winner was Stefano Ruzzini’s photograph of a silicon-strip particle detector, previously employed in the NA50 experiment at CERN and now at Frascati National Laboratories of the Italian Institute for Nuclear Physics. At the far western edge of Vancouver, BC, researchers at TRIUMF wield some of the world’s best tools for uncovering the fascinating dynamics at play within atomic nuclei. DESCANT, the Deuterated Scintillator Array for Neutron Tagging, is a concave particle detector that can be mounted on two different experiments that delve into nuclear structure and dynamics. This image of DESCANT by Canadian photographer Jonathon McRae (Four Eyes Photography) won second place in the public vote and tied for third in the judges’ vote. Jonathon McRae shot this intriguing perspective, which won second place in the public vote and tied for third place in the judges' competition, using a small, spherical lens. 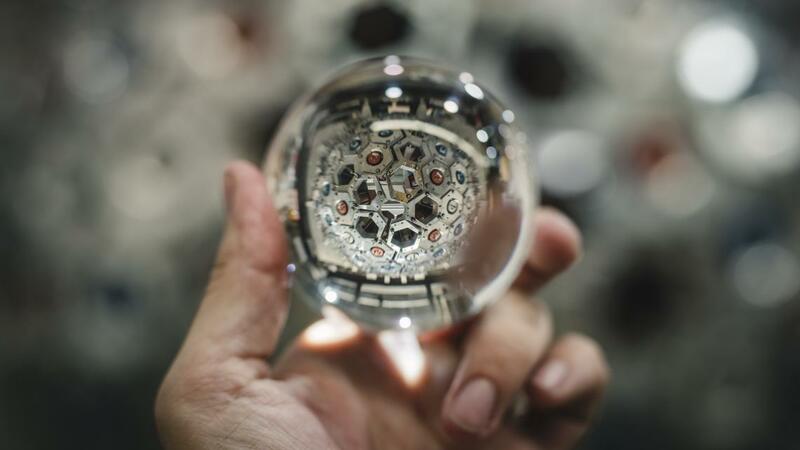 Holding the lens between camera and detector array, McRae recreated a miniature simulacrum of DESCANT in the crystal-clear glass ball, cleverly highlighting its compelling shape and geometry. 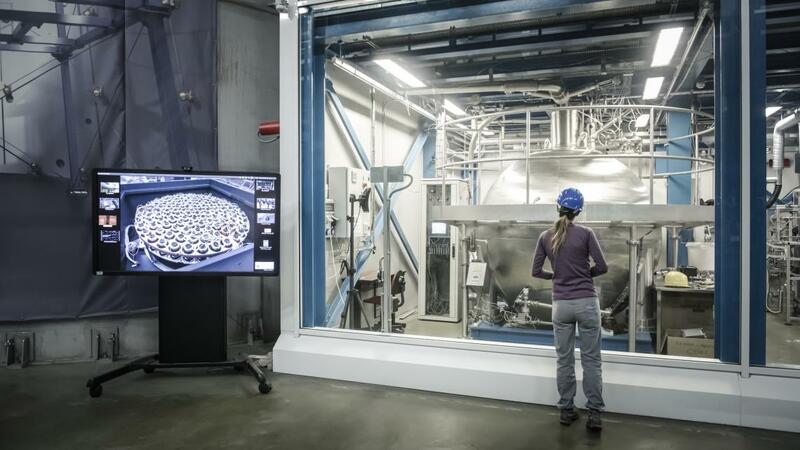 Tied for third place in the judges’ competition is Gianluca Micheletti’s image of a researcher observing Xenon1t, a dark matter experiment placed deep underground at Gran Sasso National Laboratories of the Italian Institute for Nuclear Physics. In the photo, a monitor displays the images of the inner detector of the experiment. Placing third in the public vote was this image by Simon Wright, taken at the STFC Chilbolton Observatory, home to a wide range of science facilities covering research in atmospheric science, radio-communications, astronomy, space science and technology. A different image by Wright won first place in the judges' competition.